Home / News / Organisations / Green Arts Conference Report Published! 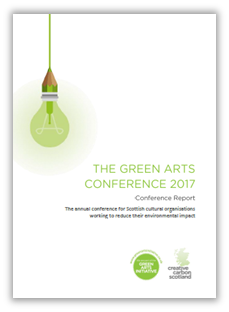 Green Arts Conference Report Published! On November 1st, Creative Carbon Scotland hosted our annual event for the Green Arts community. This conference report gives summaries and follow-up details for all of the sessions, giving you an idea of what took place on the day, and what the sustainable cultural sector is up to! This year’s conference had the theme of ‘Spotlight on Sustainability’: encouraging practitioners and participants to focus on the key actions and activities they are undertaking to contribute to a more sustainable society, and providing an opportunity to share and gain knowledge from those working in the field. 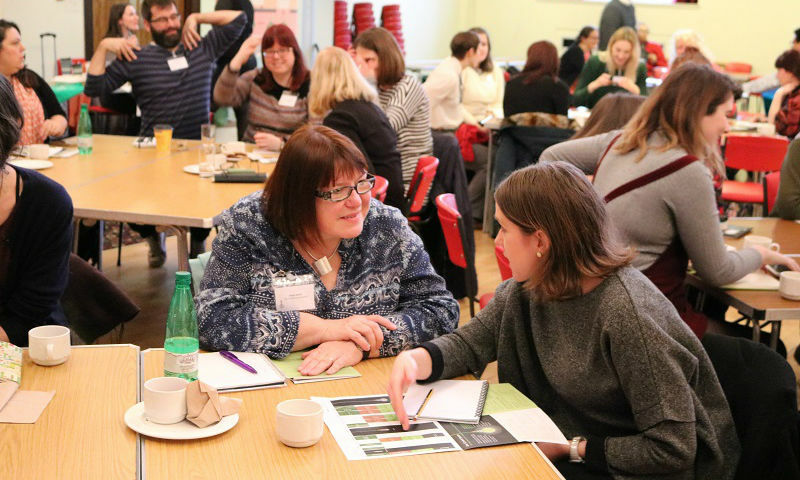 The programme consisted of a range of plenary sessions, short (15 minute) talks from cultural sector peers, and workshops on key skills.You can see the full programme that took place on the day, and more information about the event here. The Green Arts Conference is the annual conference for the Green Arts community: a gathering of members of the Green Arts Initiative and cultural green practice in Scotland, hosted by Creative Carbon Scotland. The Green Art Initiative is a year-round community of practice that spans the range of Scottish art forms, and focuses on providing support to organisations on both reducing their environmental impact, and increasing their positive contributions to sustainability. You can find out more, and join, here. The Green Arts Initiative is supported by PR Print and Design, and the Green Arts Conference was also supported by some of the best sustainable suppliers in the country: Take One Media, the Green Stationery Company, Resource Efficient Scotland, Glasgow Wood Recycling and Vegware!